4 Beds 3 Baths 1 Partial Bath 2,999 Sq. 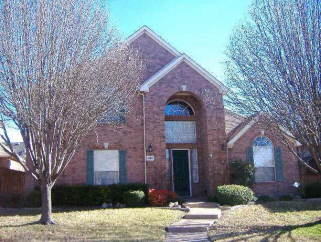 ft.
Gorgeous 4 bedroom, 3.5 bathroom Plano home! Stunning pool-spa area, ideal for entertaining or just relaxing. Large open kitchen with island & plenty of cabinet space. Rear elec. gate, crown mld,ceramic tile in entry & kitchen. Walking distance to park!